If you sell online you need to understand which international tax laws will be relevant to your business. Just because your business is online, doesn’t mean it isn’t governed by the normal rules of taxation. And if you sell to buyers in European countries, even if your business is based in another part of the world, you need to know about VAT. So what do ecommerce businesses need to think about? What exactly are the different rules and regulations? What do you need to do to ensure you are compliant? And what happens if you don’t comply? Where are you based? Inside or outside the EU? Where are your customers? Inside or outside the EU? What are you selling? Goods or services? Who are you selling to? Businesses or consumers? This post is going to focus on B2C sales – the online retailer selling either goods or services directly to private consumers. For businesses outside the EU selling into Europe, the responsibility for taxes and duties depends on who is the “importer of record”. It is usually the consumer who will be asked to pay the import charges and VAT, via the parcel carrier, before the goods will be delivered. This is often not a pleasant customer experience, especially if it is unexpected. The additional import costs may even negate the benefits of buying abroad, and can result in a high number of returns from disgruntled customers. To avoid this, you may want to consider registering for VAT in the first port of entry into the EU for your goods, for example, in the UK. By keeping ownership of the goods, you will be the importer of record, and VAT will be charged on the cost price of the goods on entry. The import VAT you pay is reclaimable on your VAT return, and the customer pays the full price at checkout – including VAT – so no nasty surprises for them. You will also benefit from a reduction in the number of returns. You may decide you want to house your stock in a fulfillment center or warehouse in an EU member state, in order to fulfill your European orders more cheaply and efficiently. Be aware – as the stock is now held within the EU, and is still owned by you, this has created a “taxable supply” and raises the immediate need for a VAT registration. There is no threshold to exceed. (See below for more about fulfillment centers). On a positive note, once you have registered here in the UK or another EU member state, you become governed by the VAT “distance selling” rules – the same rules which apply to EU businesses selling within the EU. These rules stipulate that VAT registered businesses can supply goods to consumers in EU member states without having to register for VAT there, until they exceed the set thresholds. The thresholds vary, and in most EU member states are set at €35,000 (or equivalent). However for Germany, Luxembourg and The Netherlands, it is €100,000 (or equivalent), and in the UK it is £70,000 (or equivalent). It doesn’t take much to breach the lower thresholds. To put it in perspective, if you sell medium or high-value goods, fifty luxury branded hand bags can easily carry you over. If you are based in Europe, and sell to consumers within the EU, the distance selling rules also apply to you. You are a sole trader. You are only selling through marketplaces such as eBay and Amazon – the marketplaces do not take responsibility for VAT at all. The rules only apply when you are selling to EU consumers. For sales within the EU, if you have not exceeded the threshold for the buyer’s country, you should apply your domestic rate of VAT to those sales – if you are VAT registered. Otherwise no VAT should be applied. Once you have exceeded the threshold for another EU member state, you will have to register for VAT there, charge the country’s own rate of VAT, and file returns according to the frequency and deadlines set by that country. You will stay registered as long as your distance sales exceed the threshold for the year. If your sales drop and you want to de-register, check the rules in that country – how soon you can de-register varies. If you are selling to consumers outside the EU, the supply of goods is usually zero-rated provided strict rules are followed, including providing evidence of the export within three months of the sale. In 2011 the EU reported a loss of €193 billion from undeclared VAT. To stop the hemorrhaging, special measures have been put in place across the EU. First, in 2012, member states set up a “mutual co-operation” initiative, with special units focused on ecommerce. The authorities in each country now communicate regularly and share data. The data-sharing and co-operation initiative may even be extended to non-EU countries, with interest shown from Norway, Russia, Canada, Turkey and China. Online retailers selling abroad need to be very aware of their tax obligations in the countries where their customers are. Unfortunately ignorance is no defense. The “head in the sand” approach can work for a while, but it’s not a long term solution. Tax authorities have the power to levy penalties and interest charges, which can be as high as 120% on top of the unpaid taxes in some countries. If you opt to use a fulfillment center in the EU, where you hold stock and retain ownership of it, you have an obligation to VAT register in that country. There is no threshold to exceed. If you are currently using a fulfillment center in Germany, for example, without being VAT registered there, check your contract with the fulfillment center and seek expert help if you are not sure if you should be registered there. First, make sure you have the systems in place to capture accurate sales information including which countries your customers are in. When charging your customers, make sure you add VAT to the shipping cost as well as the product price on your invoices. Keep up-to-date with the VAT registration thresholds and where relevant, monitor currency fluctuations. Know when you are about to exceed a threshold including when the local currency is not in Euros. Know which VAT rates apply to your goods or services. If you are in the EU, you may be familiar with the classification system in your own country, but it can vary elsewhere within Europe. Children’s clothing is a good example – it is zero-rated in the UK and Ireland, but attracts VAT everywhere else in the EU. Once registered in another country, do not charge VAT for your own country as well as the buyer’s country. VAT should only be charged once. It can take approximately 6 weeks to obtain a VAT registration, depending on the country that you are registering in. Once registered you need to make sure your invoices comply with local regulations. Pricing is a big issue. Unlike the USA, where it is customary to quote prices without Sales Tax, VAT should always be included in the price shown to consumers. So should you charge different prices in different EU countries or does one price fit all? How badly will your margins be affected by the different VAT rates if you don’t differentiate price in each EU location? VAT rates vary across Europe from 17% – 27%. Can the margins you have set for your products absorb the variations? Will you stay competitive once you have VAT registered in another member state? Is your ecommerce system set up for multi-currencies and multi-VAT rate application? If not, how easy is it to update? It’s always a good idea to do some market research in your chosen markets and find out how you compare to local suppliers and how much flexibility this gives you. Planning ahead avoids a lot of future headaches and can even mean the success or failure of your business. Intrastat Declarations are mandatory statistical returns which allow the tax authorities to monitor the movement of goods within the EU. Each country has its own reporting thresholds, which differ from the registration threshold. A list of the thresholds (PDF) can be found in our booklet which you can download for free from SIMPLYVAT.com. Intrastat declarations will need to be submitted once thresholds are exceeded. On January 1st this year, the European Commission changed the new VAT place-of-supply rules for EU suppliers of electronic, broadcasting and telecom services to consumers. These include digital downloads such as e-books, software, music and films. A full list can be found on HMRC’s website. The fundamental change is that VAT on digital services is no longer accounted for where the supplier resides, but where the customer is. To reiterate: these rules only apply to the supply of electronic, broadcasting and telecom services to consumers – not to businesses – and not to the supply of goods or other types of services. The new rules means that as the supplier, you will have to gather and report information on where your customers across all 28 EU member states. This puts a huge compliance burden on your business. Not only do businesses have to make sure the right processes, checkout software and accounting packages are in place, but they also need to take into consideration how the new rules will affect prices and margins. There has been intense lobbying from the UK on these changes, and some progress has been made because of the negative impact on micro-businesses. As the UK has such a high local VAT registration threshold of £81,000, HMRC is allowing businesses below the UK threshold not to have to account for VAT in every EU member state, when they register for a scheme called Mini One Stop Shop (MOSS). There was not the same success in lobbying for a minimum threshold to be set on e-service sales. A number of UK Members of the European Parliament made a request to the European Commission which was rejected by the EC on the 20th January 2015. Is your customer a business or a consumer? Usually a VAT registration number will determine whether your customer is a business or not. If they are not VAT registered other evidence, such as a link to their website or commercial documents, will suffice to show they are a business. Two pieces of evidence are required to show where your customer is located. This can include the billing address, the IP address of the device used to make the purchase, and the customer’s bank details. Which VAT rate applies to your service? The EC have published information relating to VAT rates (PDF) and specific country rules. Find out if you will need to raise an invoice and what information needs to be on that invoice – again different rules apply to different countries. Also consider whether your billing system can cope with the potential variations. Where to submit the information? The VAT can either be accounted for through local VAT registrations in each country where your customers, or via VAT MOSS (Mini One Stop Shop). You can register for MOSS in one member state, and that tax authority will collect the information and payment from you and distribute it to the relevant tax authorities where your customer are. VAT MOSS has been introduced to make it easier for the seller, so they only have to deal with one EU tax authority. If you register for VAT MOSS and sell physical goods as well as digital services, those sales will still need to go through the distance selling VAT accounting process, whilst sales of digital services need to be accounted for via VAT MOSS. A really effective solution to help online retailers has been produced by Taxamo. This solution recognizes the location of the customer at checkout and applies the correct country VAT rate. It can collect up to six pieces of information for a single transaction, and prepare the data for the quarterly EU MOSS VAT return. It also stores the data for the mandatory 10 year period. Since 2003 non-EU sellers have already had to account for VAT based on the customer’s location, via the VoES (VAT on Electronic Services) scheme. This has now been incorporated into the new 2015 reforms. Non-EU companies can register with one of the 28 member states’ tax authorities, and submit all filings and payments to that tax office via VAT MOSS. Non-EU providers have been repeatedly told that they would be automatically transferred from VoES to VAT MOSS. However, a number of tax authorities have indicated that this will now not happen, and these businesses will have to apply separately for a new registration with MOSS. Any EU country can be chosen unless you already have a permanent establishment in one county – if you do, this is where you need to be registered for MOSS. Preparation and planning are a vital part of the cross-border trade journey. Make sure you factor in the expense of complying with local taxes like VAT, including the cost of translation, software, and expert advice. It should sit alongside other regular expenses such as web hosting and accountants’ fees. Circumstances unique to your business will dictate which VAT rules are relevant to you. Do your homework and your sums. Many businesses who have already made the leap to international expansion find the cost of compliance is far out-weighed by the increased sales and profits. I wish you all the best with your international expansion plans! Simply VAT is listed in the Web Retailer directory. What useful advice you have for the scenario where an US-based webstore is using an European dropshipping company to deliver goods to end customers? Would it be right to assume that the drop-shipper is the one to take care of VAT charges and everything else, or the US webstore is in some way responsible for VAT? If so, how? Thanks! Who has the VAT liability depends on who is invoicing the end customer. If the end customer is a private individual and the USA webstore sells direct to the private consumer, the drop-shipper does not have any of the liability. However who is liable between the USA website and private customer depends on who is the importer. If the customer is the importer, they are liable for all the import duties and VAT unless the goods sold are below the country’s low value consignment relief threshold. If this is the case, no VAT and duty is due. If the USA webstore becomes the importer through a VAT registration in an EU country, the USA webstore will account for the VAT in that country. The drop-shipper will only have VAT liability if he buys the goods from the USA webstore. ship their product( gourmet sea salt which is 0% duty) to a UK fulfilment centre ie: FBA, does the business still need to register for VAT? MOSS? The import of goods into the UK which are then sold to UK business or to private individuals represent a taxable activity and therefore the import will have to register for VAT in UK. However, if gourmet sea salt qualifies for zero rated VAT in the UK that applies to general food then you may not need to be registered for VAT, this is called “Exemption from Registration”. You will need to apply to HMRC for exemption from registration and, if granted, you will not be able to reclaim the input UK VAT you pay when you buy goods or services for your business. If your application for exemption from registration is not accepted by HMRC then you will be required to register for VAT in the UK. Import VAT is charged on goods imported from outside the EU at the same rate as if you bought the goods in the UK, therefore, if the goods qualify for zero rated VAT then the import VAT would also be zero rated i.e. no import vat is paid on zero rated goods. VAT MOSS (Mini One-Stop Shop) relates only to the sale of services and is not relevant to the sale of physical goods. As a customer if I were to buy electronic goods from a Chinese retailer who has a European Warehouse, and I purchased goods from said European Warehouse will I be covered by European Union laws regarding warranty? Also, if said Chinese retailer states that the only way they will refund me is if I return the damaged goods to China and not to the European Warehouse is that legal? Surely if I purchased the goods from an European Warehouse within the EU I should only be obliged to return the products to said location and not to China. Would kindly appreciate any of your advice on the matter. Hi Rogerio, thanks for posting. I don’t think there’s any VAT aspect to your question so it’s not really one for Claire. Also I’m not sure if you were buying as a consumer or a business, which makes a big difference. The EU has very clear laws for selling to consumers e.g. see here for the UK implementation but selling to businesses is something else. If you were buying as a business I recommend you get specific legal advice. Perhaps you will have some general legal recourse if their marketing was misleading, but otherwise I suspect it will come down to your contract with the seller i.e. the terms and conditions of sale which you should have in writing somewhere. I am an Irish eCommerce website that sells to customers all over Europe B2C. My suppliers are in France and the Netherlands and ship to my customers on my behalf. For “distance selling” I am under all the thresholds and therefore do not need to register for VAT in my customers country. My question is, the VAT that I do charge, is it based on the Irish VAT rates and paid to the Irish government or is it based on the rates of my suppliers countries and paid to their respective governments on MOSS? Can you give me a little more information about your circumstances? Do you sell goods or digital services? Hi Philip. Can you please tell me if your suppliers are charging you French and Dutch VAT? I AM AN NON EU NATIONAL AND RESIDENT OF POLAND ,I AM PLANNING TO OPEN MY OWN E -COMMERCE BUSINESS IN EUROPE,I WILL EXPORT SHOES AND BAGS FROM ASIA TO SPAIN AND GERMANY THEN SELL IT THROUGH E COMMERCE WEBSITE ALL OVER EUROPE. ONCE I EXPORT AND PAID VAT AND IMPORT DUTIES IS IT NECESSARY TO KEEP MY STOCK IN ESTONIA ,OR I CAN MAKE WAREHOUSE ANYWHERE IN EUROPE AND SELL IT THROUGH E-COMMERCE UNDER ESTONIAN VAT SYSTEM ,OR I HAVE TO TAKE NEW VAT NUMBER IN ANOTHER EUROPEAN COUNTRY WHERE I WILL KEEP STOCK EVEN IF I NOT CROSS THRESHOLD. I am launching an e-commerce website for Europe, no services just all kind of shoes and leather bags. The goods will get export from non eu countries and then sell through e-commerce ,my concern is do i have to keep stock in the same country i will register vat and Llc after paying custom duty and vat , or i can keep stock anywhere i want in eu and do shipping from there. You will have to VAT register in the EU country where you keep stock for onward sale to private consumers. You can keep your stock in 1 country eg. the UK and then use the EU distance selling rules, whereby you can deliver orders from the UK until you hit set thresholds in the other EU countries ie. Euros 35,000 in all EU countries except Germany, Netherlands and Luxembourg where it is Euros 100,000. Also if you ‘distance sell’ into the UK, the UK threshold is £70,000. 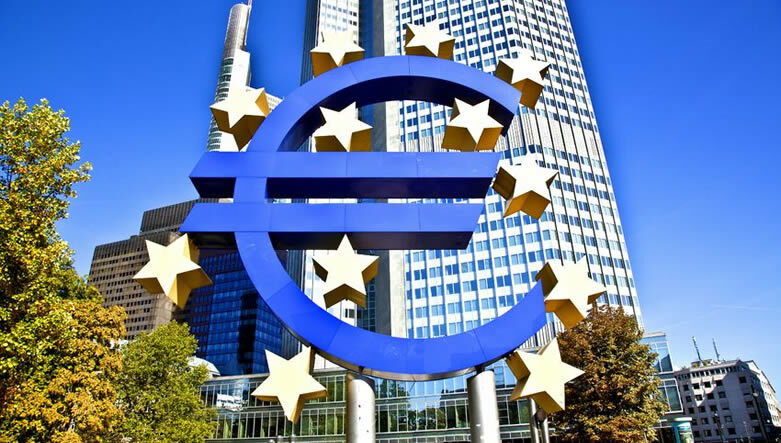 This means you can test the European market without a heavy cost of compliance. Please do ask if you have other questions. If you import directly from Asia to Spain and Germany and then sell the goods from Spain and German to private individuals you will have to register for VAT in Spain and Germany and charge Spanish VAT or German VAT on the sales. The import VAT you paid to Spanish and German customs can be deducted on the VAT returns you will have to file in Spain and Germany. You cannot use your Estonian company VAT number for the above transactions. If you have goods stored in a warehouse in any EU country and then sell the stored goods to private individual you will have to register for VAT in any country where you use a warehouse. If you don’t have s warehouse but purchase the goods from a company who invoices you but supplies them to your customer is the vat charged in the country where you are registered? If, for example, you are a UK company buying from a Spanish supplier who delivers to a German customer, you may have to register either in Spain or in Germany. It depends where you take title of the goods, and whether the supplier charges VAT. How do you set it up to “take title” so that you don’t have to register in the other countries? For chain transactions – An Irish company A buys goods from Irish company B and requests that B delivers the goods directly to its customer C who is resident in the UK. One of the conditions for zero rating an intra-community supply of goods is that the customer gives a VAT number of an EU country other than the country from where the delivery is made. As the company A is in Ireland and the company B is also in Ireland, the sale from A to B cannot be zero rate because both have an Irish VAT number. Therefore, the sale from B to C has to be zero rate if C gives a valid UK VAT number. I’m going to try and intermediate here, I hope it doesn’t cause further confusion! In this example A (in Ireland) buys from B (in Ireland) then C (in the UK) buys from A. The first sale is from B to A and the final sale is from A to C. But I don’t see why that would change Claire’s answer because the businesses involved are in the same countries as if it had been a sale from A to B then B to C.
BTW Roni, I don’t follow your final sentence “No vat is charged to the customer because the product is zero rated in Ireland despite the product having been drop shipped by Company B from the UK anywhere in the World”. I’ll step out now and leave any further technicalities to Claire. Unfortunately what you have stated is not possible in relation to VAT compliance – the sale of goods is considered to be from the UK and because of this, the ROI company has an obligation to VAT register in the UK and the UK VAT rate applicable to the products will be applied to any sales until the distance selling thresholds are exceeded in other EU countries. Andy is correct it is a drop shipping arrangement – all businesses in this instance are VAT registered. On the opposite side – again a dropshipping arrangement – if company A in Ireland ordered goods from company B in the UK to deliver goods to company C also in the UK (all VAT registered entities) in this instance i assume the Irish company would need to register for and charge UK VAT on the end sale to customer C as place of supply and customer both in the UK and company A does not have an establishment in the UK? So from what you say, company A in Ireland can supply private customers anywhere in the EU by drop shipping by Company B in the UK to these private individuals anywhere within the EU and charge the Irish Vat on the transaction to these individuals. If Company A in Ireland and Company B in the Uk are registered in their own jurisdiction for vat, then the transactions between these two companies should not have vat added surely. The 1st paragraph of Rachel comment at 10.03 am is correct however the 2nd paragraph is not correct because as the goods don’t leave UK i.e. purchased from B in UK and sold to C also in UK then UK VAT (not Irish VAT) is due and company A in Ireland has to register for VAT in UK in order to charge UK VAT to company C (in UK). This also applies if C is a UK individual, a registration is required by Irish company A as the sold goods did not leave UK. In reply to Roni’s comment at 2pm, company A in Ireland who supply private customers anywhere in EU (by drop shipping through company B in the UK) must charge UK VAT (not Irish VAT) as the goods are delivered from UK (by UK company B on behalf of Irish company A). In this case as the sale from UK by Irish company A from the UK to private individuals In EU (B2C) the distance sale rules applies i.e. Irish company A must register for VAT in UK and charge UK VAT until the distance sale threshold applicable in the country of delivery is exceeded, then the Irish company A must register in the EU country where the distance sale threshold was exceeded in order to charge the VAT applicable in that EU country (and not in the UK VAT anymore). If the product the Irish company sells is zero rated in Ireland – as in your case Roni – then as explained above the sale is taxable in UK. You will need to check whether these products are also zero rated in UK and if yes then the sale would be zero rated. Please note if all what the Irish company A sell from UK is zero rated then it can apply for a dispensation from the VAT registration in UK. Please note that once the value of distance sale (i.e. sales by Irish company A from UK (dropshipped by UK company B) to private customers anywhere in EU) exceeds the distance sale threshold then the Irish company will have to register for VAT in the country where the threshold was exceeded as explained above. Great article. My situation is more B2B related, so hopefully you can weigh in here. Currently our company is based in Cyprus (EU). Here we supply 95% B2B, and 5% B2C with our products. We are VAT registered in Cyprus. We are now looking at selling in Malta (EU). We have found a distribution centre in Malta who will handle all our distribution and money handling etc, so logistics wise, we are good. Our UK supplier will be shipping the goods to our Malta hub(EU – EU). I’m therefore looking for clarification on the following points. 1)	If our company supplies purely B2B sales to VAT registered companies in Malta, then from my understanding, we are able to sell the products to them with 0% VAT? 2)	If we supply both B2B and B2C, at what point does the €35,000 / year threshold apply? Is it on all sales, or just B2C sales? 3)	If we supply B2C customers, then as long as we are below the €35k threshold, do we charge B2C customers the 19% Cyprus VAT rate? 4)	Can you advise more on Intrastat? Malta is listed as only €700 Arrivals / €700 Dispatches. A Company registered in Europe that do drop shipping products from China straight to the end customer should register for VAT? The products go from China straight to the customer through postal curriers. Who will be liable for VAT, the company that do drop ship (actually acting like an intermediary between seller and customer) or the customer that get direct from china the product. I think we’re getting mixed up with the drop shipping term. A company that drop ship goods (delivery only) are only providing a service (delivery service) as the goods they drop ship (deliver) are not owned by the drop shipper. To determine the VAT liability you need always to see who is the seller and where the sale is being made. In regards to your query Ion, if the European company buys goods from China which are delivered by a third party company (drop shipper or delivery company) – if the seller is the importer then the VAT liability will be with the seller. If the buyer is the importer then the buyer will be liable for the VAT. The sale is considered to be made from China by the European Company. I’d be grateful if you would clarify who is who. Here is my situation. I intend to display goods on my website supplied by companies in China. A customer visits my site, orders a product, they pay me and I immediately pay the provider in China before they despatch of the goods to the customer. The customers will initially be EU customers. The goods will not go through the UK (my country). Who is the importer in this scenario? Who is charged the taxes due? I assume that I, as the website owner, collects any taxes due and pays to the relevant authority. aslo if my company is EU based company VAT registered and i sell goods from my website.com USD currency and a buyer B2C from europe place an order on my website, after this i buy his product from china supplier and china supplier send goods directly to my customer. I also give invoice to my customer from europe with added VAT or not. Who is here the importer? We are a Canadian company based in the Yukon Territory. 2- When I sell to the Consumer should I sell with no tax because the company is located outside of EU even if the goods are located in a warehouse in Germany or I should change the VAT everytime according to where the good is shipped ? And in that case where and to whom do I declare all those different VAT from all those different countries……. Wow, this is article is really helpful – Thank you Claire. I am hoping you can help advise me on my particular scenario. I am about to start using a third party company to feature my products on their website in return for a commission that they will retain from each sale. I will send the goods directly to their customers but from the customer perspective they may be none the wiser that it has come from me and not the website/ company they purchased it from. Am I right in calling this Drop Shipping? Would this website company be an undisclosed Agent? The website company is based in the UK (and VAT registered). My (Limited) business is registered and based in Guernsey, Channel Islands- therefore outside of the EU. However, I am also a VAT registered business but I don’t have a business address in the UK. All of my products will ship from Guernsey. *If I don’t prepay the import VAT the goods would be held by Border Forces and the end customer would have to pay the import VAT and a processing fee to release the goods. This would obviously not encourage repeat business so that is why I pre-pay the import VAT. I am issued with a till receipt that shows the value of the goods and the import VAT I have prepaid. As I have pre-paid the import VAT on my VAT return should I be reclaiming this as an input tax (box 4) and also declaring the VAT on the sale as an output tax (box 1) – which means they would cancel each other out or does the website company need to declare the VAT (input VAT) on the sale received from the end customer? I feel totally confused with this so any advice would be great. should the website company be invoicing me for VAT on the commission fee for their service? As I am based in Guernsey (non-EU) should their supply of service to my business be zero-rated or exempt? I have read VAT Notice 741A: place of supply of services but still don’t fully understand what is applicable to this situation. Can you tell me how you invoice the website company for the sold good, do you invoice with UK VAT or without? I haven’t started trading with them yet as wanted to work out how I go about it first. What would you advise? Who invoices who and what should be included? The end customer pays the web company direct and is given a receipt for their order. The web company is never in possession of the goods. This is a classic undisclosed agent arrangement. The website company will invoice the final customer and the goods will be delivered from Guernsey. The import VAT is paid by you who is registered for VAT in UK as non-resident. The prepaid import VAT to Guernsey post office is an interesting case and difficult to understand because the prepaid import VAT cannot be reclaimed as it is supposed that it is charged to the UK consumer. Instead of the consumer paying the import VAT, it’s the seller who charges it at the sale point and pays it to HMRC. The goods you ship from Guernsey are already sold by the internet company with VAT so the VAT is paid twice once by the consumer (as he receives and is invoiced from the UK internet company) and once by you (import VAT). Unfortunately as things stands the prepaid import VAT represents an additional cost to you which cannot be recovered. We think the solution to this is that instead of the internet company being an undisclosed agent they should act as a disclosed agent which means that you should invoice in your own name to the final UK consumer for the goods sold from Guernsey and the internet company will only invoice for its commission. If you would like further information, please email me directly claire.taylor@simplyvat.com and we can provide a quote for a piece of consultancy work for you in order ensure you are set up properly. hello, i have recently launched the ecommerce for selling consumer electronic goods. before that have been selling on amazon . where i i have seen a lot of competive prices. if my purchase from distrinutor is 500€ i should add my marging (20€ suppose) plus vat 21%(in italy) plus 7% amazon refferal fee which makes the total 665€ . but small business selling this product for 575€ . how come possible? because i know in the market they will not get better price than 500€.but they still managing the good margin. how come they avoiding vat? I am struggling to find concise information on a EU business selling to a non EU consumer. 1) It says that a EU business can zero-rate a sale under strict conditions. I have gone through as much info on HMRC as I could and it led me to nowhere. Would not you please mind to nudge me in the right direction? 2) I would also appreciate if you could share some info on whether an e-commerce can use VAT return forms when it sells to a non EU resident. Where is your stock based? Are your customers businesses or private consumers? Can you also please explain further the point 2? Which VAT return forms are you referring to? I run an online clothing store that sales directly to private customers. The firm is based in the UK. The stock is based in the UK as well. I know I can zero-rate a sale provided I dispatch the good to outside of the EU directly from my location. My question is essentially whether it is possible for me, as for an online retailer, to be running the Retail Export Scheme (Tax-Free Shopping for Tourists) in the fashion high street retailers do? So, for example, a Retail Export Scheme qualified traveler orders a good from my store while on a trip to the EU (i.e. the good is delivered to the customer’s location within the EU) and the invoice contains VAT in it. He/She then takes the purchased product to his/her country of permanent residence and get the invoice stamped by the customs officials. Presented with all the required evidence of the fact that the sold product has been taken outside of the EU by a non-EU resident, will I be able to refund the VAT back to the customer? Would appreciate if you could shed some light on the situation described above. I am selling clothes from Poland online in the Uk. I am not registered with VAT as my business is small. If i want to sell to EU countries and outside do I have to charge VAt or only if i exceed threshold for the eu country a year? If I am an Irish registered company, I have a website selling goods to Irish people, they pay for the goods on my website. Then I buy the goods cheaper from china and china post directly to my customer. What happens with VAT? I never see the goods myself. If the goods are delivered directly from China by China post to the buyer that means the buyer is responsible for the import VAT if the value exceeds the low consignment relief threshold. The seller is considered to be making the sale from China and therefore you should not charge VAT on the sale. However, you can choose to account for the VAT if you, the Irish company, imports the goods and pay the import VAT and delivers to the customer then the sale is considered as being made from Ireland and therefore Irish VAT is due. I have a scenario, for which i could not find a correct answer in most of the sites. It would be helpful if you could clarify it for me. The US Company (Address in US), Sources material from its German plant (Germany plant belongs to the German company code), and sells it to end customers or its other company code customers. Customer Invoice: US company charges End customer. Intercompany Invoice: Germany company code charges US company code. My question is, is the Intercompany invoice taxable? i.e should VAT of 19% be charged on the intercompany invoice? The thing to note here is the Goods are directly shipped out of Germany to the end customer, like a drop Ship. As this is technically Ship-from Germany to Outside Germany, is it taxable? The US company is regarded as purchasing and selling goods from Germany so they will need to register for VAT in Germany and file German VAT returns. The German company code (inter-company invoice) should charge the USA company code 19% German VAT which can be recovered on the VAT return. Sales by the US company to the end customer, if the end customer is an individual, will attract 19% VAT under the distance sale rule. Thanks a lot Claire. Your explanation was really helpful! I have a question on the fulfilment section. If a EU business, already registered in the EU country it is based in, has its fulfilment center in the UK, but whose sales in the UK are below the threshold, does it still have to register for VAT in that country? Hi David, thanks for getting in touch. As soon as stock is in the fulfilment centre for onward sale this triggers an immediate need to VAT register in the UK. There is no threshold to exceed. This is true when stock is held in any EU country. UK VAT will have to be collected on any sales made from that fulfilment centre to UK customers and to private consumers in other EU countries until the distance sales thresholds in the other EU countries are exceeded. At this point, a local VAT registration is required in that country and local VAT will be charged. I have a 3PL bonded warehouse in Amsterdam requesting invoices on free goods (samples, warranty products, etc.) shipped from their facility. Is VAT really based on the cost of goods even if we don’t sell them to the recipient? Our 3PL says that it is, but this makes no sense to me. Every article I see about VAT discusses sales, nothing mentions free goods. In the UK the importation of sample goods qualifies for import duty and VAT relief. For warranty goods when they returned they have been replaced free of charge under warranty, no duty is payable however, VAT is payable on the full value of the goods because all replacement items are treated as new goods for VAT purposes. Our business is registered as a Limited company in the UK selling online to consummers in the UK, EU and outside the EU, but so far not VAT registered as we are under the turnover threshold. We purchased on all goods from Italy with VAT paid to suppliers in Italy and goods where delivered to the UK. One of our registered compay director moved to France and we decided to transfer all our stock to France at his home address and ship to all our customers out of France. Does it mean that we are operating as a fulfillment centre in France ? Do we need to register for VAT in France and in the UK ? As the stock is now moved to France then the transfer of stock is considered as a taxable intracommunity acquisition of goods in France so the French business has to register for VAT in France if the annual value of the acquisitions exceed the threshold of €10,000. If, however the value of the acquisition does not exceed the annual threshold of €10,000 then no VAT registration is required. If you register for VAT in France because you exceeded the threshold for the acquisitions or you voluntary choose to register then the Italian supplier will not charge you Italian VAT, you will only need to give the supplier your French VAT number in order to invoice you without VAT. Please let me know if you need further help or would like us to register you in France. Thanks Claire, there is no business registered in France, only stock held at the Director (of the UK business) address in France. What we’d like to understand is how to claim VAT back on existing inventory and how to handle VAT going forward on future online sales. Do we need to apply for VAT in both countries and how can UK business register for French VAT when the business is not registered in France ? I would be so very grateful if you could help me! For the digital product, I know that I can use a 3rd party (like Taxamo to manage the VAT transaction and requirements there, but I’m not sure what to do about the physical product. One idea I had, was to just create a “package” that has all the costs rolled up of the physical and digital product and sell that on the 3rd party site. That would collect the VAT for everything, and then I could ship the product to the customer. But it sounds like once the product gets to the UK, it will be held and the customer will have to pay VAT again? I currently only have one customer who potentially would even do this, and even if I opened up my entire business to the UK I wouldn’t come anywhere near a 35,000 pound threshold… but I’m not entirely sure that what I want to do is possible/legal. I want to comply with the laws and also not cause my customer to pay for something twice. Thank you so much!!! For the physical product that you deliver from USA it will be an export for you so you should not charge any VAT or tax and the customer will have to pay the VAT to UK customs if the value exceeds the value of £15. The UK customer will have to pay the VAT to customs on any purchase they make from outside the EU. For information, there is no £35,000 threshold in the UK. There is a £83,000 threshold for VAT registration for local UK established businesses and there is a £70,000 distance selling threshold for sales from another EU country into the UK. I am planning to sell on Amazon and doing lots of research at this stage. I was going to register a limited company in Austria where I live and then import the goods to Germany where amazon has a fulfillment center . as I understand from your article I should register for VAT in Germany. correct me if I am wrong please . But I have heard that it is better if I registered my company online in the UK as It offer advantages in terms of VAT if wish to sell in all 5 Amazon European marketplaces. I would appreciate if you could shed some light on this . If you VAT register in Germany, and place stock in the Amazon DE fulfilment centre, any sales delivered from the German warehouse will come under the EU VAT distance selling rules. German VAT will be applied to those sales until set thresholds are exceeded in the other EU countries. Check with Amazon to see if you can access the Amazon EU marketplaces from Amazon DE. I cannot see why having a UK company would be an advantage, if you can achieve the same from a German VAT registration. Hi, although very clearly stated and easy to read, I am missing answers to my specific question. We are a UK company selling home deco products to webshops within UK and within EU. We offer direct drop shipments to the end users of our web shop customers under private label and customized B/L. This all works fine. So far so good. But now we have the same request from a Norwegian customer. To save time and money, we wish to drop ship to his end users in Norway under private label.We will use a courier service for this like f.e. DHL, like we do with more (EU) export markets. All doable, but…as Norway is no EU (no need to make any funny comments on Brexit, we are aware and will deal with that then when needed… ), no free traffic of goods. Shipments need to hold a commercial invoice for customs reasons. We will invoice ex VAT to our Norwegian customer/web shop owner. Norwegian end user ordering the product with the norwegian web shop will pay invoice including VAT. Norwegian web shop will pay this VAT to tax officer in Norway. We can even arrange to include in the shipment a copy of the original Norwegian invoice in Norwegian Kronor including VAT in the name of the norwegian web shop customer, stating the reg and VAT number addressed to the end user/recipient. But will Norwegian Customs accept this and release the goods? So we can deliver to Norwegian end users their in advance paid for goods, without running the risk that customs might hold goods or ask end users to pay VAT? Thanks for getting in touch. This is a interesting case and will require a piece of consultancy work. Firstly we would need to investigate further on how you treat the dropshiping for your UK and EU webshops. Can you please email me your email address we discuss this in detail. Thank you for sharing your professional experience with us in your educative, informative and well-structured blog. You’re such an amazing person. More grease to your elbow! I’m planning to go into e-commerce business. I have registered company with VAT register in UK. My business focus on different line though. I understand Tax related matters are so huge and complex. This prompted me to do market research for being fortunate to get your blog. 1.Since I’m registered with existing company, can still use the same VAT number say company A, B, C, D own or partly own by me? 2. As I’m VAT register in UK, and place stock in the Amazon FBA or another Fulfilment Centre. All sales delivered from the UK FBA and sold to EU customers via EU VAT distance selling rules. Supposing I breached sales set threshold in the other EU countries, for instance, France or Italy. Have got to register for VAT there…. right? Can I also open a New Fulfilment Centre there as well bringing my FBA to be two? 3.If I want to sell from UK, Children clothes which is zero-rated in UK to say private or business customer in Italy. Do I still have to charge VAT for this sales even it is VAT free in UK? If not, would my customer still pay VAT in Italy? 5. If importing from China or Non- EU country, do I have to pay import VAT and duty as a register VAT company? 6. Could you recommend any Automated Accounting & Taxes Software for distance selling that work for rules apply to different countries? Thank you very much for youf helpful article! Could you help us please: We’ve registered the UK company (Ltd) not long ago. The subject of business is IT-servises (maintenance of internet-sites). We are intermediares and work under the agency agreement. The company doesn’t have customers in UK and in EU: our customer is based in USA and our vendors/contractors (from whom we receive servises for our US customer) are mostly from non-EU countries (Ukraine, Russia etc). In this case do we need to charge or reclaim VAT or it’s outside the VAT system? Do we have to pay the input VAT to HRMS? Thank you so much! This article helped me a lot in order to understand all this VAT regulations. I am about to set up a online store for the social business we just started in Uganda, which will sell clothing made here to US, European Union Countries, Canada and Australia. I’m planning on opening a dropshipping business\e-shop. My company is based within EU (already paying taxes but not selling anything yet) but the actual website operates outside the EU. I will use dropshipping (so no holding of the actual goods) and the products will go to non-EU country. Products will both come from EU and non-EU. I predict no sales within EU. How will this all work? Dear UGK, thanks for getting in touch. It depends of a lot of things mainly who will do the export ie who will be the exporter the supplier or you. The delivery from a non-EU to a non-EU customer is outside of the EU VAT scope. For the deliveries from the EU to non EU customers, this will depend on who will be the exporter. In the country where both you and the supplier are in the same country, the supplier will have to charge local VAT and you will do the export. This will mean you will need a VAT registration in this country. You will invoice your USA customer without VAT as the service is outside the scope of UK VAT, you are therefore not required to register for VAT in UK. How is this supposed to work for Pan-European FBA? Basically you cannot know where your stock is, it is ‘all over the place’ (the ‘place’ being Europe). I am currently registered as a Dutch company with only a Dutch VAT number. You say I should register in every European country where Amazon has a fulfillment center and check for every order from which center the units were shipped??? Hi Arthur, this is correct. There other other options with Amazon, eg. their Multi-country inventory service which allows you to choose where your stock is. I have a question. If am EU company (in this case Irish company) buy goods in another EU state (in this instance in Poland) but the goods do not leave Poland – is the VAT applicable? I would appreciate your help! Hi Aleksandra, thank you for getting in touch. Can you advise what happens to the goods once they are in Poland? We are talking here about wooden pallets and they are being used in Poland for delivering cargo to our customer in Poland (customer doesn’t pay for the pallets so we are the end buyer). Thank you. Hi Aleksandra. Can you give more transparency please as I am still unclear.. Can you explain what the cargo is and who and how and from where and to this cargo is being delivered? We are a Australian company who goods have been purchased off by an Italian company. However the goods are made to order in China and shipped direct to our italian customer. Does this mean our customer in Italy is responsible for VAT and duty costs? Hi Amy, If the sold goods come from China then it means that you sold them from China and the usual situation is that the Italian customer will be responsible of the import VAT and duty if this is what agreed. Hi Claire, I’ve been looking for answers for days now, I only wish I had found this blog sooner. I’m curious about the VAT charges as I represent a US company and we want to be compliant with all the EU tax regulations. I hope you can help us. We have a dropshipping company in the USA, and we want to open a fullfilment centre in Poland. We fullfill customised clothes orders from other e-commerce sites through shopify. Currently we dropship everything from the USA, however, we want to fullfill our EU orders from Poland in the future. Our Poland enterprise will hold stock (blank clothes fur customization). 1. Customer from France buys a custom hat from e-commerce site that uses our dropshipping service in the USA. 2. The e-commerce site pays our USA company to dropship the hat. 3. Our USA company orders our Poland company to customize, package and deliver the hat to the customer in France. In this Scenario – who is responsible for charging VAT ? Also, what if the end-customer is from Ukraine, who charges (if neccessary) VAT in that scenario ? Same order – Ukraine customer, pays a USA e-commerce site that uses our USA e-commerce platform. our USA company orders Poland company to fullfill the order. Poland company delivers the hat to Ukraine customer. Thank you for your time and answers!! Hi Egita, As a dropshipper we assume that the final customer will be invoiced by the original seller i.e. the e-commerce site. On this assumption all the e-commerce sites (sellers) will have to register for VAT in Poland as the sale is considered to be made from Poland. When the hat is transported from USA to Poland to be customised at this point the sale to the French customer has not yet taken place. Once customised the hat is then delivered by the Poland company to the customer in France. Therefore, the e-commerce site (the seller) is making a taxable distance sale from Poland and they will have to register for VAT in Poland and charge Polish VAT to the French customer until the distance sale threshold is exceeded and then the e-commerce site will be required to register for VAT in France and charge French VAT to its French customers. The sale from Poland to a customer in Ukraine should be without any VAT as it’s a sale to a customer established outside the EU (export), the Ukrainian customer will probably pay the VAT due on import in his home country Ukraine. Hi Claire, I need your help please. I am starting a business with a cosmetic product and I have to decide if the company should be in Spain or in UK. I am currently living and working permanent in UK and my salary is 47000 pounds. -A Spanish manufacturer will make the cosmetic cream and with the jars I have bought from China will do the packaging and labeling, giving me the final product. -I am planning to sell this product in Spain at the beginning because we have more contacts (approximately in 25 pharmacies and 25 sellers by catalog like Avon) so as the bigger percentage of sales will be in Spain at the beginning we will contract a company there for full logistics (warehouse and shipping). -We are also planning something similar in UK, but as we don’t have any contact yet we will keep products at home and do the shipping by ourselves. -Finally there will be an online shop. Our original idea is to have the company in uk to benefit of not having to register for Vat, but after reading your blog I think I may be wrong. Could you advice me if is better to have the company in U.K. Or in Spain and how vat should be calculated when selling to final customers, to business and to selftrader sellers in Spain, in UK and in te future to other EU countries? Companies can trade in any country without having a company established in that country. So, for VAT purposes you can start up a company in UK and then start trading in Spain. We cannot advise on where is best to establish your company as you should take into account the wider implication regarding direct taxes like corporate and income tax and indirect tax like VAT, we can only advise on VAT. If we presume that you setup a company in UK – and I presume the bottles will be imported from China to Spain where they will be given to the Spanish manufacturer and then all the sales will be done from Spain – if this is the case, you, as a UK company, must register for VAT in Spain as the sale to private customers from Spain attract Spanish VAT until the distance sale threshold is exceeded. As a registered VAT payer in Spain, you will also be able to recover the VAT paid to Spanish customs on imports. 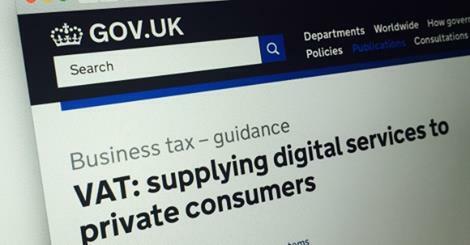 Regarding the online shop, the applicable VAT is determined on the country you will be selling from, so if you have a company in UK but you’re selling from Spain then your sales should be taxed in Spain and not UK therefore, the UK registration threshold is not relevant as you will have to register for VAT in Spain from the 1st sale as explained above. It is very helpful. Just some more question, please. I understand that if I had the company in UK, and the main warehouse in Spain, I would have to register for Vat in Spain from the 1st sale and for every sale within Spain. But if as an UK company we moved some stock of products from Spain to our UK home address and used it as a warehouse for all the sales within UK and for any sale to other eu countries apart of Spain, in this case if I were not Vat registered in UK which Vat should I apply. I understand that as an UK company having a warehouse in Spain we would have the obligation to vat register in Spain immediately, but if we also had this UK warehouse to sell rest of Europe and UK, and sales were below UK threshold, should we have the obligation to vat register in UK. Last doubt is: As a uk company with a warehouse in UK and in Spain, could we have to be vat register in Spain (no matter threshold) but not in UK if below UK threshold? And if we could, how could I pay the vat in the Spanish port when I received the imported jars from china there? Would you offer services for full accountability or just for VAT, would you accept visits on Saturday? If you are established in UK with no UK VAT number then all the sales will be done without VAT until you exceed the UK registration threshold then you will need to register for VAT and charge UK VAT or until you exceed the distance sale threshold where you will be required to register for VAT in the EU country of delivery where you exceeded that threshold. One other issue is the transfer of stock from Spain to UK because the transfer of own stock represents a taxable supply. An intra-community transfer of goods can only be exempt of VAT if the receiver of the goods (which is you in that case) give a valid UK VAT number to the dispatcher from Spain (which is also you), so the Spanish tax authorities should oblige you to charge to yourself Spanish VAT which will be an extra cost to you as a UK company as you will not be able to recover it because you (as UK company) don’t have neither a Spanish VAT number nor a UK VAT number. Just to throw a spanner in the works, the irish government knows that I wish to set up a subsidiary in the EU. Obviously they want me to open this business in Ireland – yes there are big advantages to this. The major disadvantage is shipping the goods from China to Ireland and then shipping them back out again to the rest of the EU. They say they will allow me to ship them into Rotterdam and then I can distribute them across the EU under Irish rules. That said, I do actually prefer the UK despite Brexit, because I have customers already on hand there. How do I register for VAT using either my Hong Kong business or China business in the UK? You can VAT register in the UK from either your Hong Kong business or your China business in the UK. This is a service we offer to help businesses VAT register and remain compliant. If you wish to discuss the Irish tax authorities in more depth, please email heretohelp@simplyvat.com and we can discuss! I need some information on the VAT in Netherlands. I want to have an online flower delivery website. If I establish the company in Netherlands, what will be the VAT rate of sending flowers to one of EU countries, i.e Spain? What will be the VAT rate, when someone wants to send flowers to non- EU countries? In this business model, customers will be individuals and flowers are sent by local florists. There will be no flow of goods between countries. If the flowers are sent from the country of delivery i.e. the flowers are sent from a Spanish florist to a Spanish private consumer and the consumer is invoiced by your company then you should register for VAT in Spain in order to charge Spanish VAT. If you do a similar activity in any EU country then you will have to register in every EU country where you make deliveries. If the flowers are sent to a non-EU country then it should be exempt of VAT as it’s considered as an export. The non-EU consumer may have to pay the VAT to its local customs. The VAT rate for flowers is the standard VAT rate applicable in each EU country. I have been all over the web and I have been trying to find the answers to these questions. Since it is a relatively new and specific area, I couldn’t find it. If it is not too much to ask, can you give me some recommendations to read for further investigations on this subject? if the flowers are sent from a Mexico florist to a Mexican private consumer and the consumer is invoiced by our company in Netherlands, what will be the VAT rate? I mean, flowers are not sent from EU to non EU country. Will this still count as an export and VAT is zero? In respect of the Mexican scenario – buying goods (flowers) in a country and selling them in the same country where the flowers are directly delivered by the florist to the consumer is considered as selling flowers locally in the country therefore the sale should be subject to the local tax. I suggest you have to check what would be the tax implications for a foreign company buying and selling goods in Mexico. This is a country we do not cover. Thanks for any thoughts you have on this. As you, the supplier of the video, is based outside the EU (USA) and the customer is a business based in Germany, the supply is not subject to German VAT. The German client when receiving your invoice without VAT will have to account for the VAT under the reverse charge in their German VAT return. Question: When selling to an EU client we have to charge VAT on both shipping costs AND product price? seems excessive to double charge unless I didnt understand. I have been searching all over the internet for the answer of my question. I want to start a dropshipping site that sells goods Worldwide. I am located in Latvia and i would register this busines as LLC or sole proprietorship in Latvia.The goods would be directly shipped from china to the customers newer entering Latvia(as well as if i dropship goods to US they would not enter EU).I would sell to EU Countries And US. In which countries i have to pay taxes and what kind of taxes?I know i have to pay income taxes to Latvia but do i have to pay sales tax or some other kind of tax to some other countries? Thanks for getting in touch – can you please provide a little more information 1. What type of goods will you sell? 2. Will the customers be businesses or private consumers or both? 3. Who do you want to pay the import VAT? 4. Which EU countries are you going to import the goods into? 5. Will the sales be made online? 3.As i understand if price of the product doesnt exceed 22 euros then no one has to pay import VAT. But as it will be too complicated to pay import VAT for every customer, then i think customers will pay it if needed. 4.I wil be dropshipping from China to customers Worldwide.I wont import bulk order to Europe and then sell from Europe. The goods will go straight from China to every customer.And i will sell to every Country where my customer will be. 5.Sales wil be made online. Hello Mark, I would appreciate if you can tell me how you managed to solve this VAT issue for your droppshiping business. I am in the same situation and looking for answers. My business (a UK registered company and VAT-registered entity) has been approached to act as a potential distributor for a non-EU company (the supplier) who is looking at selling their product in the UK market. Products will drop-ship directly from the supplier’s Chinese manufacturer and I plan to use a third-party warehouse (non-bonded) to receive shipments and distribute to individual buyers. I will be acting as a sales agent using a web-shop. I am familiar with drop-shipping as well as the UK VAT process for B2C sales, however, my question relates to the import of consignment stock. The supplier is prepared to issue me consignment stock to ease my cash-flow. I would then have to pay the supplier when a sale is achieved via my website. Can I act as the importer on the UK Customs entry even though I’m not actually buying the stock at the time of importation? I have read the supplier might have to set themselves up as a foreign VAT business here in the UK< something they aren't keen on…hence approaching me to represent them as their distributor!!! Catch 22?!!! Hope you can shed some light. Thank you. If the Chinese supplier “The principal” is invoicing the final customer then for VAT purposes you’re considered as an “disclosed agent” as the customer is aware that he’s dealing with an agent. In that case the principal must account for the VAT on the sales and therefore must register for VAT in UK. The imported goods will be in the principal’s name and should act as the importer and pay the import VAT to customs. However, if the invoicing is done by your company to the final customer then you are acting as an “undisclosed agent” in that case you’re considered as the purchaser and the seller of the goods, the purchase price being the sale price less your commission. You must account for the VAT on the sales. The importation can in that case be in your name as the importer and can therefore recover the import VAT in the usual way. We want to start a drop shipping site that sells goods worldwide (e.g clothes, christmas stuff etc.). We are Iocated in Bulgaria (EU member). The goods would be directly shipped from China to the private customers in EU Countries and US. Sales will be made online. 1. How would all this work from accounting point of view? 2. In which countries should we pay taxes and what kind of taxes? 3. Should we generate invoices for the final customer, having in mind that the product he will receive will be directly exported from China? Thank you in advance and looking forward to your answer! Hello Claire thanks for this Article. My Company is Registered in Italy and i have an E-commerce Website that sells phone accessories, and other little weight items where Private individuals go to place orders for products. we are drop shipping these product from a supplier in China and and so we do not stock any product this chinese supplier sends the product directly to the Buyer in the US or any other part the world. Since its not a European Country the product is Shipped from or the customer who bought the product is not in the European Soil. Do we Charge the Customer VAT? Thanks and i would Appreciate Your Response. Thanks for your question. The transactions are out of EU VAT scope. If the place of supply of goods is not in the EU, then the supply of goods is outside the scope of VAT. You don’t have to charge EU VAT or include the sale on the VAT Return. If the buyer is in America (or other country), there will may be sales tax or a similar tax on it. You can get in touch with our partners https://www.taxjar.com/ and they can let you know about the local USA rules. I hope that helps. My question is about a case where the company is based in Spain, with 2 warehouses in 2 different warehouses in EU countries. The company plans to sell online in EU countries and some non European countries. 1. what would happen if the user is a e.g. Spanish resident that chooses the delivery in a EU country different to the one where he is resident? 2. what would happen if the user is a e.g. Spanish resident that chooses the delivery in a non-EU country different to the one where he is resident? 1. I’d like to know if it is compulsory to include a visible documentation outside of the box that notifies the content inside when the goods are expedited from the warehouse. 2. Do the invoices have to include different fields depending on the country? Dear Marta, thanks for your questions. In respect of para 1, Q1 – where the goods are shipped from and to is important – not the place of residency. If the goods are delivered by the Spanish company from another EU country, the Spanish company would require a VAT registration where the warehouse is based – there are no thresholds to exceed. Also important is if the customer is a business (B2B) or a consumer (B2C). If the customer is a consumer, local VAT would be chargeable on any goods sold from the EU local warehouse until the EU VAT distance selling thresholds were exceeded in the country of arrival. At this point, the Spanish company would have the VAT register in the country of arrival and charge local VAT on a sale delivered in that country. If the customer is a business and the goods delivered domestically in the same country as the EU warehouse, the local VAT of where the warehouse is, applies, or the domestic reverse charge applies if conditions are met in that country. When the reverse charge is applied, the Spanish company will issue an invoice with reverse charge (without VAT) and the customer would account for the VAT and be able to deduct this at the same time in his own country of residence. If the customer is a business and the goods delivered to other EU country as the EU warehouse, the Intra-Community supply is applied, i.e. transaction is exempted from VAT and Spanish Company should be able to proof this applied exemption and more specific the transport of the goods. The customer will acquire the goods and would account for VAT and be able to deduct this at the same time in his own country of residence. Para 1 Q2. If the goods are shipped from the EU warehouse to an address outside the EU, then the transaction is exempt from VAT. However the Spanish company needs to be able to proof that the exemption does apply with documentation showing transportation and delivery of the goods. 1. Your invoice needs to mention the transaction date (if different from the invoice date) + description of the quantity and type of goods supplied. 2. Delivery country needs to be mentioned on the invoice as well as a reference to the applicable EU VAT directive article for B2B transactions whereby VAT exemption has been applied, as well as the valid VAT ID number (of the Dispatch EU warehouse country) of the Spanish company and business customer. Thank you so much, Claire for taking the time to answer to my questions. My questions were related for B2C operations. However, thank you for the additional insights in B2B. Great thread, thank you so much, yet I don’t see my particular issue/question addressed. Thanks for getting in touch. Can you give me a little more information please? 1. Do you already hold a VAT number? If yes, which EU countries do you have VAT numbers in? 2. Are your customers private consumers or businesses or both? 3. Can you also expand on your last sentence that ‘one of my suppliers is collecting VAT on my sales’. Do you invoice the customer directly with VAT? Hope that you will be able to help me, as I am still not clear on VAT in Europe. I operate an online store selling sport goods. Let’s say individual customers like sports club buy my product. Do I collect VAT from them or they pay themselves upon receiving the goods. Thanks and appreciate your help. Can you give me a bit more information please? Where are you based and where is your stock held and delivered from? I look forward to hearing from you. I am a UK resident. I intend to display handmade goods on my eCommerce store supplied by suppliers in Turkey. A customer visits my site, orders a product, they pay me and the provider in Turkey despatches of the goods to the customers worldwide. I would like to understand my general obligations regarding VAT. Can you clarify please if the Turkish supplier sends the goods to customers direct from Turkey or do they come to the UK first? Claire – you’re very welcome, thank you. 1. I don’t already hold a VAT number. 2. My customers are private consumers. 3. I am not presently charging my EU customers VAT. As mentioned I work with a couple of suppliers and just one is presently collecting VAT on my orders. The moment you place an order with your EU based suppliers, you are the owner of the goods and will have to charge VAT on your invoice to the buyer as well as pay the VAT to the Tax Authority of the dispatch EU country. In order for this to happen, you need to be VAT registered in the dispatch EU country where the goods are stored. For goods shipped outside the EU your supply will be exempted from VAT and your invoice should refer to reason of VAT exemption (export). You also need to be able to proof that the goods left the EU (e.g. custom and transport documents). As your buyers are private individuals, there is an EU VAT distance sale threshold to apply. This means that for the sales from dispatch EU country to the buyer, local dispatch VAT is chargeable until the distance sale threshold has been exceeded in the other EU arrival country. The moment you have exceeded the threshold in the other EU arrival country, you will need to VAT register there (+filing returns) and charge arrival country VAT on every sale delivered in that country. If you would like us to look into this further for you, please pm on claire.taylor@simplyvat.com. Thank you very much for this post. It is not easy to manage the legal aspect when starting an ecommerce. I would like to ask you a question concerning the Dropshipping ecommerce business. I started an commerce doing dropshipping 2 months ago and last month I did in sales around 10k€. I sell only to Spain, so all my customers are in Spain. My provider is in China (Aliexpress). Normally I should pay the 21% of VAT from my sales to Spain. However if I do that I would be in negative and my business would not be profitable. Is there any other way to make this business profitable? If so, what Legal Structure would be the most optimal for my business in order to keep the maximum of profits? This is the best information I have come across so far. I now know more than ever. Thank you for this post. Although I think I have read similar scenarios above, I want to be sure. I have a company registered in Turkey (Non EU) which is where goods are manufactured in compliance with EU standards place and we will use a warehouse+distribution service based in Ireland for B2B and B2C. B2C could be anywhere across Europe but B2B resellers will be Germany, Italy, Belgium and UK for now. 1. Do we have to register for VAT? If yes I believe it has to be where the warehouse is? 2. Is the threshold per year total sales? Which is my threshold ? Ireland where warehouse is or each country where goods are sold? 3. If we register for VAT, do they deduct the amount equal to threshold when calculating the VAT we have to pay? 4. As far as I know we have to pay the VAT at point of entry even if goods are shipped as consignee for onward sales. In B2B, it’s actually resellers who are obliged to pay the VAT so how does that work? The VAT rates in Ireland and Germany are different so what happens with the difference of what we paid for VAT in advance and German reseller is supposed to pay? Thank you for your comments, greatly appreciated and I am delighted to assist you with your requirements. The below reply is based on the fact that the importer in Ireland is the Turkish company who imports the goods into Ireland and then sells them on B2C and B2B. please let us know if it’s not the case as the below reply may be affected. 1. Yes, importing goods which are intended for resell as B2C and B2B leads to an automatic obligation to register for VAT within that country of import as no threshold is applicable for foreign businesses. In your scenario, as your import into Ireland, you will need to VAT register in Ireland. 2. There are Distance Selling Thresholds which come into effect when you have VAT registered in any country. 3. Once you are VAT registered in Ireland, the threshold in Ireland is no long applicable. If you sell goods B2C to France from your Ireland stock, you would account for VAT in Ireland until you surpass the threshold. Once surpassed, you will have to register for VAT in France and charge French VAT on future sales to France. Please see the attached PDFs showing threshold limits per country. 4. At point of import into Ireland you will have to pay Irish VAT to Irish customs which you can deduct on your periodic VAT returns. If the imported goods are for immediate onward delivery to another EU country then it’s possible to not pay the import VAT at customs by using the onward supply relief “OSR”, please speak to your customs agent regarding this matter. The B2B sales from Ireland to resellers in Germany, Italy, Belgium and UK should be without any VAT providing that the reseller provides you with their valid VAT number of their country. The reseller will then account for the VAT in their respective country on their VAT return under the reverse charge mechanism. If you need anything further, don’t hesitate to get in touch with me. Thank you very much Claire. That is very useful information. Appreciate it. You mention that for B2B I don’t have to pay the tax which I understand what it means. However, the Irish warehouse says we have to pay all tax in advance because onward deliveries won’t be immediate. How would this work? Is there a workaround? Does the same rule apply even if the delivery isn’t immediate? The warehouse is talking about the import VAT and my understanding from what you say is that you cannot use OSR because the dispatch to other EU country is not immediate. If this is the case, you will have to pay import VAT and not be able to use OSR. The onward B2B sale to the EU client from the IE warehouse would be zero rated intracommunity sale providing you mention the VAT number of the client on the invoice and have a proof of delivery. My small jewellery B2C webshop is registered in NL (inventory and shipping from NL). While I understand my VAT obligations within the EU, I’m still a little lost with the obligations outside of the EU. If someone purchases a piece and I ship to HK, for example, I would not charge the 21% VAT (as it would be considered zero rated?) but what are the strict rules? And providing evidence to who (NL, HK?). Are there other obligations? In your opinion, if I have minimal business outside the EU, is it worth the inconvenience of additional obligations? I, sole proprietorship living in Cyprus EU, intend to display goods (kids clothes/bedding and room decor) on my website/e-shop supplied by companies in China. Under the Shipping Policy on my web store it’s stated that goods are coming from China. So customer is aware of that fact. Who will be liable for VAT, the company that do drop ship (actually acting like an intermediary between seller and customer) or the customer that get direct fromChina the product? If the goods are sold and delivered directly from China by China post to the buyer that means the buyer is responsible for the import VAT if the value exceeds the low consignment relief threshold. The seller is considered to be making the sale from China and therefore I should not charge VAT on the sale. That makes much more sense to me, than me charging them VAT, what do you think? The customer is the importer, paying VAT, dues and fees, just like if they ordered themselves from China. You are a glorified sales person for the chinese, an agent or an affiliate, something along these lines for tax law, for broader legal liability of course you have some. You are most definitely not the importer, nor is the shipping company the importer (unless you want to become the importer, but you don’t). Having said that, big shipping companies have been able to strike deals with some national authorities in recent years, and as a customer I was able to buy from two US shops and prepay fees and taxes and receive my goods in the EU as if I ordered from the EU. The webshop transferred the extras to the shipper and the shipper transfered to local authorities. These webshops were big and biggest, so not sure if anyone is offering such facilities to the moms and pops. Is VAT payable in the country the customer lives e.g. Germany or the country the customer has goods delivered to e.g.France. We have a number of transactions where customers are buying goods for their children at university in a different member states, hence the question..